Sometimes I have no idea why a video goes viral! 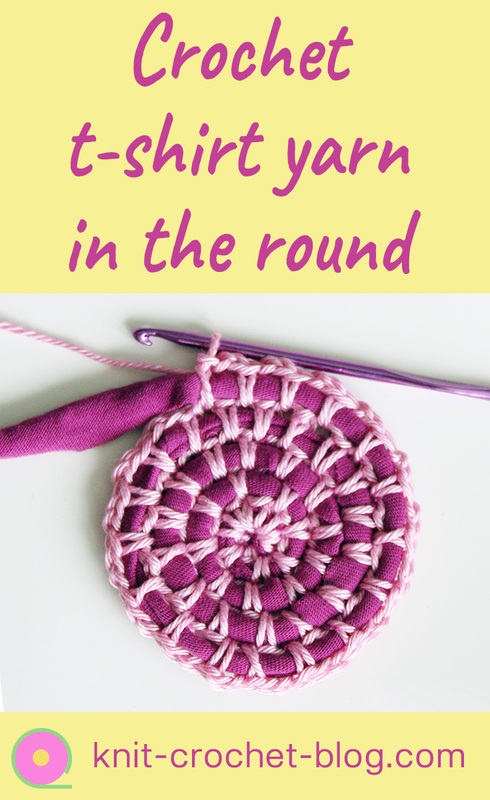 Starting to crochet a round piece like a rug, table mat, basket etc, using t-shirt yarn is one of those videos. I first had a video of a horrible quality about that in Finnish. I had made it very quickly as an answer to a question. It went viral, mainly outside Finland. I decided to make a better one and it went viral too. It soon has three and a half million views. I then added a second video, to show a bit more than just the start of the technique. It is popular too but not so hugely popular. What we are talking about is a technique where you attach t-shirt yarn using another, much thinner yarn. The t-shirt yarn stays straight, you only crochet around it. Here are two photos that show what I’m talking about. Below them, you can watch the video that has been so popular. This post may contain affiliate links. It means that if you purchase a product I recommend, I may earn a small commission with no added cost to you. T-shirt yarn is not the only type that works here. You can use any sort of ribbons, thick fluffy yarns, plastic bags cut up or many yarns put together. I even used this for a Christmas tree decoration, see the post in my other blog Knit & Crochet Christmas. You can also subscribe to my YouTube channel here! You can cut up your own old t-shirts. I’m collecting mine to make a rug. When you cut them up yourself you can decide how wide you want the yarn to be. The heavier item the wider yarn. For table mats, coasters and small baskets I would cut about 2 cm wide ( just under 1 in). For rugs or bigger baskets it can be twice as wide. 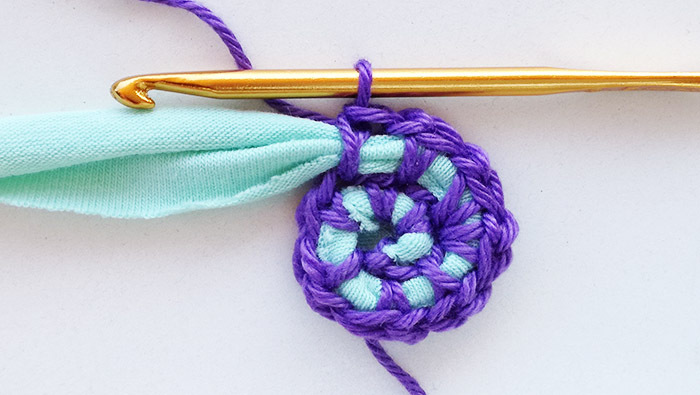 On the video I’m using an aluminium crochet hook like these. They are great because of the colours and I use them a lot when making videos. 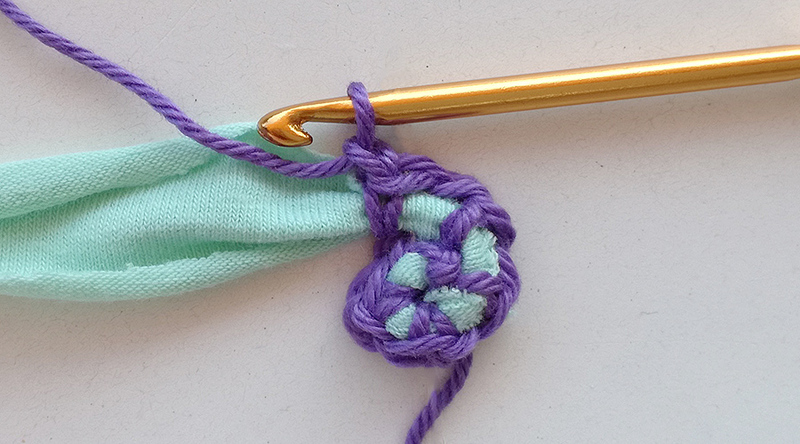 But when I crochet for a longer time, I have started to use ergonomic crochet hooks with a soft handle because my hands easily hurt and they help for that. 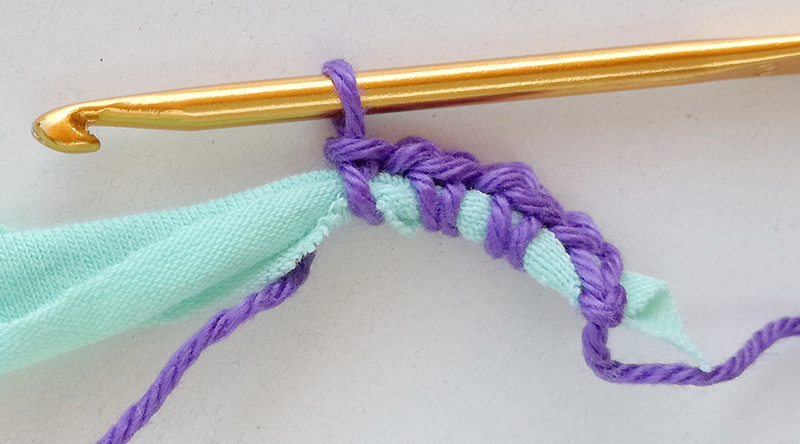 Download my free stitch calculation guide here! 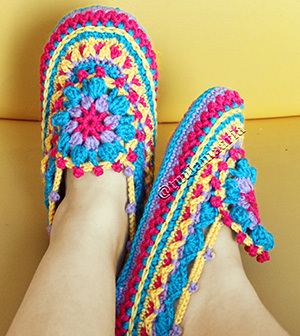 I really like any and all emails I get regarding crochet, whether its new stitches or new patterns. I get a lot of emails from multiple places and I cant read them all at once. Often I go several days before checking my emails so please dont delete me. Thank you! Do you have any patterns using this technique.I love it. This is so cool. Do you have a basket blog you can share? Not at the moment, only have the technique explained, no finished projects yet. Will get some done later. That’s great, Kath! Yes, it is hard on wrists to make big rugs! I can’t wait to try! Hope you will find an interesting project to try this on! Like the blog’s Facebook page! The cookie settings on this website are set to "allow cookies" to give you the best browsing experience possible. If you continue to use this website without changing your cookie settings or you click "Accept" below or continue scrolling then you are consenting to this.